“Terrible is the temptation to do good.” This warning, bellowed out by the clear-voiced narrator (Carey Davenport) in Promethean Theatre’s scrappy and searing new production featuring folksy original music by Matt Kahler, serves as the moral dilemma in Bertolt Brecht’s 1944 parable, Caucasian Chalk Circle. In his masterwork, Brecht makes the case that blood has little to do with ownership. Rather, whomever is best equipped to raise and nurture a thing, be it a child, land or property, should be granted the ability to do so. And as the strong-willed kitchen maid Grusha (Sara Gorsky) soon learns when she comes across a newborn, abandoned by a royal family in their haste to flee the city at the brink of war, her inherent good nature intervenes in her plans to wait for the safe return of her soldier fiance. 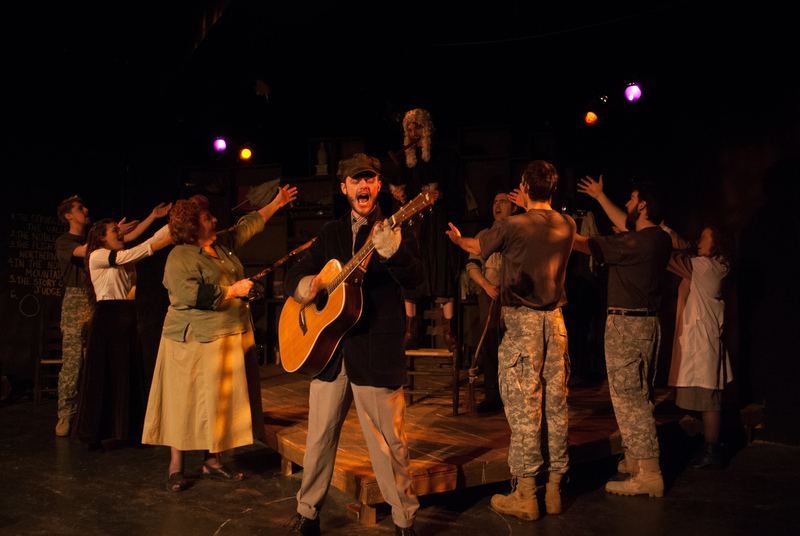 Director Ed Rutherford puts the ensemble through its paces while keeping the storytelling clear and unencumbered, and Kahler’s music and music direction brings Brecht’s messages to life with haunting grit and pragmatism. While the singing ranges from precise to passable, the energy and passion resonates beyond any vocal limitations. And this is Brecht, not Les Miz. This is inspired work from this young group, and a great kick-start to my 2013 Chicago theatre schedule.